Born This Way Foundation founded in 2011 by Lady Gaga and her mother, Cynthia Germanotta, is dedicated to empowering youth, inspiring bravery, and spreading the spirit of gratitude. 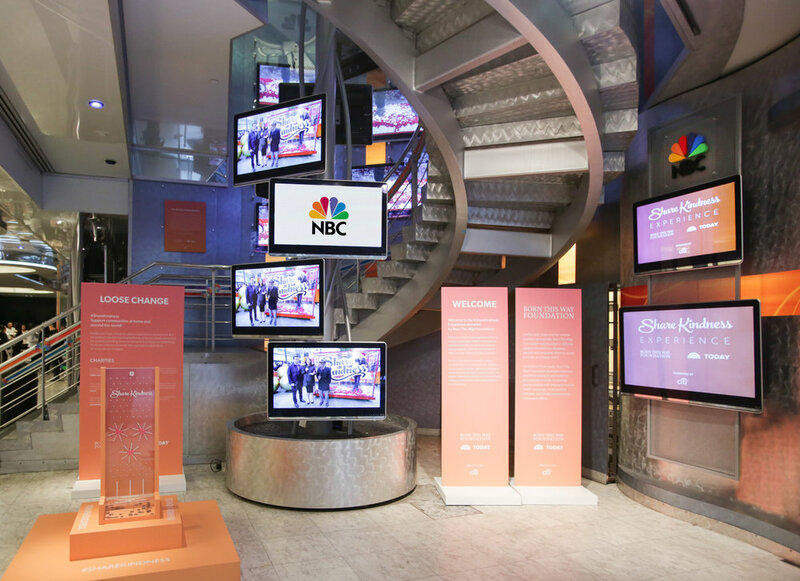 The foundation asked BMF to create impactful and meaningful experiences tied to cultural moments surrounding Lady Gaga and her mission. 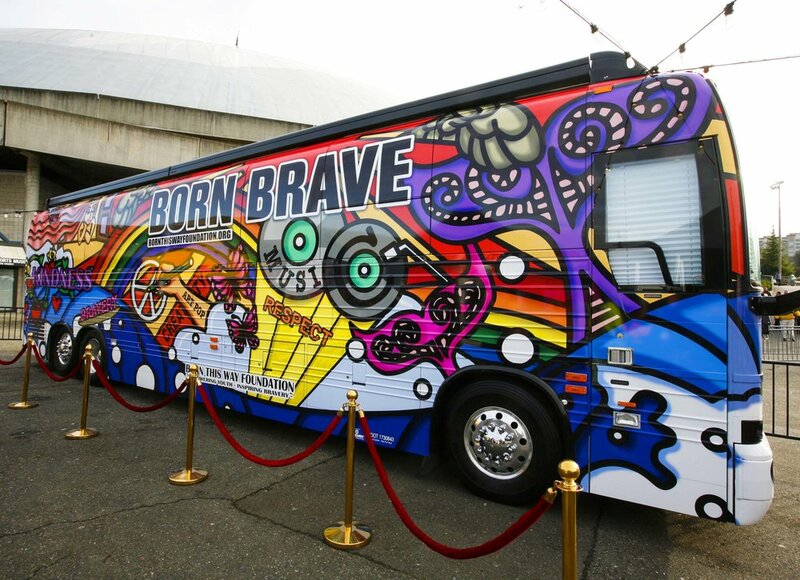 BMF created a Born This Way Foundation bus tour that visited local malls, music festivals, state fairs, and college campuses. 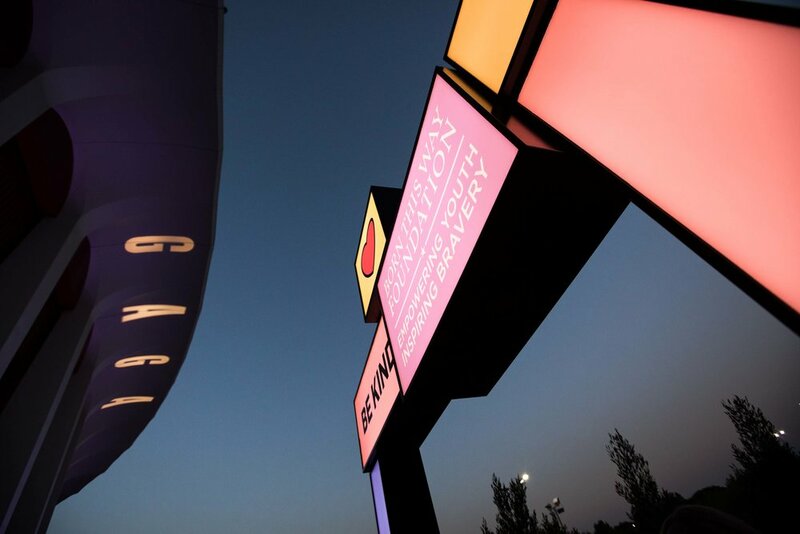 BMF brought a vibrant custom activation to stadium concourses during the Lady Gaga Joanne World Tour, where an inventive foundation structure and interactive thought bubbles allowed attendees to share and spread kindness before the start of each show. A partnership with Staples + Minted allowed the kindness-filled content to be shared through the Staples website and via Minted holiday cards. At Super Bowl LI, BMF partnered with the foundation and sponsors Mattel and Monster High to create “Kind LI” and the #KickOffForKindness campaign, which leveraged the biggest game of the year as an opportunity to inspire fans to be kind. The Houston NRG Stadium activation told the story of the foundation’s key mission, offered donation opportunities for partner causes, and allowed participants to help create the first in a series of Kindness Benches for elementary schools around the country.